More and more footage is being released from the archives and here are some links to the best of them. 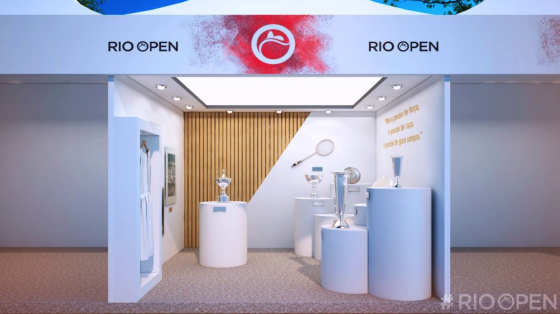 Bastidores do SporTV no Rio Open: (Published on 22 Feb 2014) O Tennis Report acompanhou a transmissão do SporTV no Rio Open e registrou a participação de Teliana Pereira ao lado de Eusebio Resende e Maria Esther Bueno na cabine da emissora. Confira! Homenagem a Maria Esther Bueno na Quadra Central | Rio Open: Impossível fazer o maior torneio de tênis da América do Sul sem a presença da maior tenista brasileira de todos os tempos. Maria Esther Bueno recebeu uma homenagem emocionante na Quadra Central do Rio Open apresentado pela Claro hdtv. 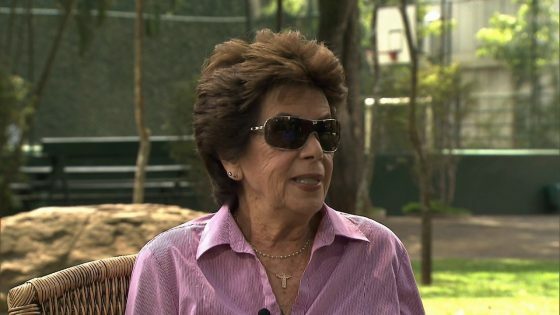 Maria Esther Bueno fala sobre a expectativa para o Rio Open | Rio Open: (Published on 22 Feb 2014) A eterna bailarina das quadras, Maria Esther Bueno, veio prestigiar vários dias do Rio Open apresentado pela Claro hdtv. Durante o Qualifying, ela contou as expectativas para o torneio e lembrou como o evento é importante no atual cenário do esporte no Brasil. 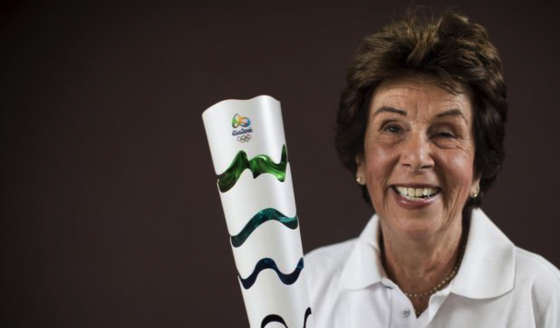 Masons Tennis: Maria Bueno at the International Hall of Fame 2012 – Maria Bueno #1 female Brazilian tennis player of all time. Maria is accredited as being the first to put women’s tennis on the map, ranked No. 1 in the world in 1959, 1960, 1964 and 1966, during which time she won the singles title at Wimbledon three times and the US National title four times. Max Wilson no programa Linha de Chegada Entrevista: (Uploaded on 27 Oct 2011) Ao lado da ex-jogadora de tênis Maria Esther Bueno, piloto da Eurofarma-RC fala sobre sua paixão pelas raquetes e elogia competitividade da Stock Car. Nancy Richey vs Maria Bueno, 1966 US Nationals, Forest Hills: Newsreel highlights from the women’s singles final of the 1966 US National tennis championships, Forest Hills, New York. Maria Bueno (Brazil) defeated Nancy Richey (US) 6-3 6-1. 1966 Wimbledon finals – Santana beats Ralston Billie Jean King beats Bueno newsreel archival footage :1966 Wimbledon finals. Manuel Santana defeated Dennis Ralston. Billie-Jean King Moffitt (USA) defeated Maria Bueno (BRA). Roy Emerson and Margaret Smith Win Wimbledon 1965 – Newsreel PublicDomainFootage.com: Newsreel. 1965 Wimbledon. Roy Emerson wins Singles while Margaret Smith win Women’s Singles, defeating Maria Bueno in the final. Both are Australian. Wimbledon Finals (1964): Full title reads: “Wimbledon Finals”. Technicolor material. All England Lawn Tennis Club, Wimbledon, London.Various shots of crowds arriving and queuing up at Wimbledon. Various shots of Men’s Singles Wimbledon Tennis finals on the centre court. Fred Stolle and Roy Emerson are the finalists. Princess Margaret, Princess Marina and Princess Alexandra are watching from the Royal Box. Emerson wins and the cup is presented by Princess Marina. Various shots of Men’s Doubles final. Stolle, RA Hewitt, KN Fletcher and Emerson play. Stolle and Hewitt win the Championship. Various shots of Women’s Singles final. Maria Bueno and Margaret Smith play. Bueno wins and is presented the Trophy by Princess Marina. America – Sport And Beauty (1963): (After golf) Forest Hills, New York, United States of America (USA). GV Maria Bueno serves to Margaret Smith during the US Women’s Singles Final tennis match at Forest Hills. Smith returns, Bueno volleys, Smith returns, Bueno smashes to win the point. Crowd cheering. GV Bueno serves again. Smith returns, Bueno gets it back, Smith returns, Bueno volleys, Smith returns Bueno volleys to win. Margaret Smith congratulates her. Vera Sukova vs. Maria Bueno, 1962: Vera Sukova defeated Maria Bueno 6-4 6-3 in the semifinals of Wimbledon, 1962. Earlier, Sukova defeated Jan Lehane, defending champion Angela Mortimer, and U. S. No. 1 Darlene Hard. In this match, Bueno led 3-2 in the first set, and then served three double faults. Sukova used well placed lobs and passing shots to win the first set, and after Bueno reached 3-1 in the second set, Sukova won five games to take the match. In the final, Sukova lost to Karen Susman, 6-4 6-4. 1965 Italian Championships: In the finals of the 1965 Italian Championships, Maria Bueno (Brazil) defeated Nancy Richey (US) 6-1 1-6 6-3 and Martin Mulligan (Australia) defeated Manuel Santana 1-6 6-4 6-3 6-1. Bueno had previously won the title in 1958 and 1961, and Mulligan had previously won the title in 1963. Wimbledon Women’s Singles Final (1959) – L/S crowds applauding on the centre court. M/S finalists Maria Bueno from Brazil and Darlene Hard from California walking onto the court. C/U woman with cardigan over her head sheltering from the sun. Various shots of tennis match, Maria Bueno at the far end serves. Maria wins the match. Hard runs up to the net and shakes hands with Bueno. Panning shot two girls leaving court. G/V crowd applauding. L/S Maria Bueno shaking hands with Duchess of Kent. The Duchess hands the trophy plate to Maria Bueno. C/U Bueno holding the trophy. 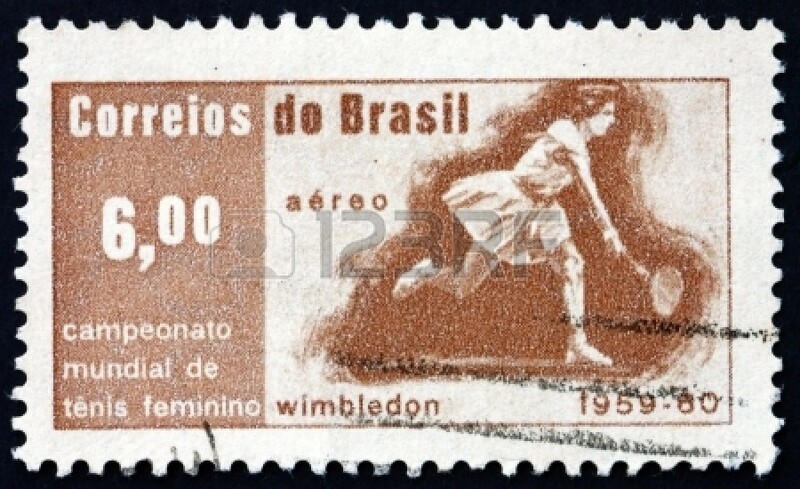 Maria Esther Bueno – Final Wimbledon – 1959 – Último game da final de simples feminina do Torneio de Wimbledon, no ano de 1959. Foi o primeiro título de Maria Esther Bueno em Wimbledon. Imagens: Grandes Momentos do Esporte (TV Cultura). Wimbledon Fashion Preview (1967): Location: Wimbledon, England / Great Britain; Story about fashion show featuring tennis players and held at Derry and Toms roof garden in Kensington; VS. Seven women walk towards camera in tennis fashions. Then CU shots from left to right, Stephanie DeFina (USA), Cathy Blake (USA) Ingrid Loeys (Belgium) Francoise Durr (France) Patti Hogan (USA) Frances MacLennan (Great Britain) and Tory Fretz (USA). MS and CU of Elena Subirats (Mexico) walking towards the camera and posing. VS Lorna Greville-Collins and Virginia Wade (Great Britain) pose with Maylis Burel (France) in front of the press. VS. of designer Teddy Tinling posing with tennis stars, he has Ann Jones and Maria Bueno (Brazil) either side of him. VS of twenty five tennis stars together together round a fountain, including CU and MS of Ann Jones, Maria Bueno and Lesley Turner (Australia). VS Lorna Greville-Collins and Virginia Wade (Great Britain) pose with Maylis Burel (France) to show off their mini-bloomer outfits. CU of Elena Subirats turning to smile at camera. LS and MS and CU of Ann Jones and Maria Bueno admiring flowers by a stream and CU of dresses with her birthday sign – Libra – on the front. CU of Maria Bueno’s cardigan with ‘M’ on it. (Orig. Neg.) – Note: Event took place 1 June 1967.